(born January 1, 1972) is a Scottish actress. 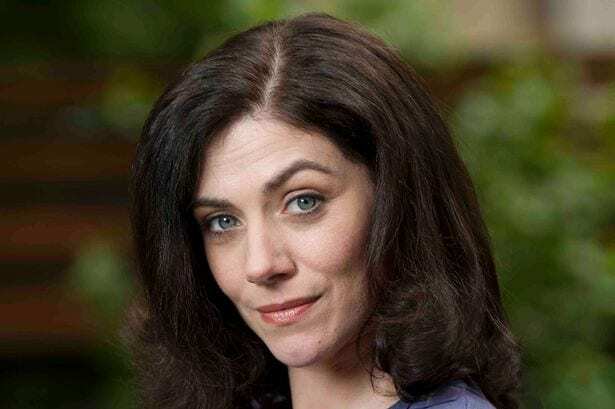 Neve McIntosh has the British nationality. She uses the name Neve McIntosh as an artist name, but was born under the name of Carol McIntosh. Born in Paisley, Neve McIntosh grew up in Edinburgh, where she attended Boroughmuir High School. She moved to Glasgow to attend the Royal Scottish Academy of Music and Drama, after which she was in repertory companies at Perth and at The Little Theatre on the Isle of Mull. She next played in a Glasgow stage production of The Trick is to Keep Breathing. She also appeared in American director Mark L. Feinsod’s first film, Love And Lung Cancer. She is probably best known for her portrayal of Fuchsia in the 2000 BBC and WGBH Boston production of Gormenghast, a lavish mini-series based on the first two books of the trilogy by Mervyn Peake. In 2004, McIntosh starred in Bodies, a medical drama produced by BBC3 and based on the book Bodies by Jed Mercurio. She has also appeared in several other television dramas, including Psychos, Ghost Squad, Miss Marple, Murder City, Bodies-2 and Low Winter Sun. It was during the production of Psychos that she met her cameraman husband Alex Sahle. Alongside her television work she has appeared in the films Gypsy Woman and One Last Chance, and in the theatre, playing in the RSC production of Dickens’ Great Expectations in Stratford. She is currently starring as Portia in Shakespeare’s The Merchant of Venice at the Lyceum in Edinburgh.